Click Here to Buy the Kindle 3! On July 28th, 2010, Amazon announced the upcoming release of two new Kindles - the Kindle Wi-Fi and the Kindle 3. In this article, we are going to be focusing on the Kindle 3. First off - when do these devices start shipping? Amazon.com recently announced that the two devices would begin shipping on August 27th, 2010. A few days later, Amazon announced that both models had temporarily sold out. According to various sources, if you haven't already placed your order as of yet, then you can expect that your device will ship approximately one week after the "official" release date. Now - what about price? The "Kindle 3" will cost $189. If this seems much cheaper to you compared to previous versions of the Kindle, then you would be right. The original Kindle (released in November of 2007) cost nearly $400. Version 2 of the device cost $360 when it was released in early 2009. The lower price point of the Kindle 3 is clearly Amazon's response to the inclusion of the new Apple iPad into the e-book market. 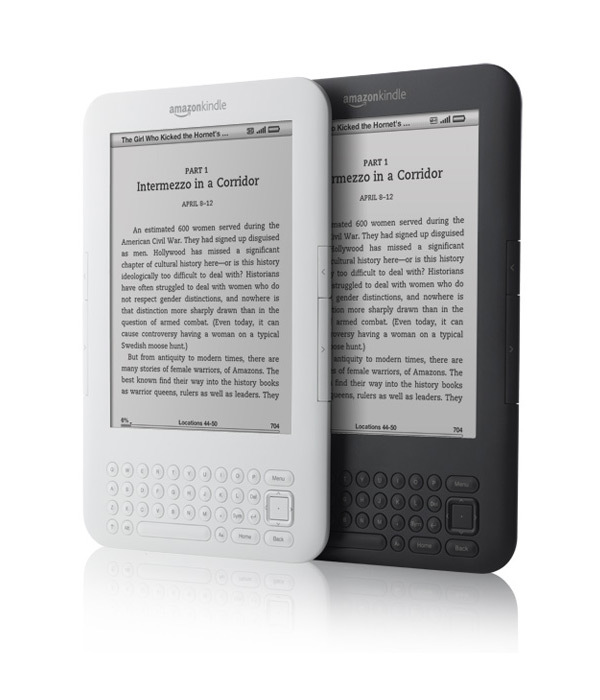 The Kindle 3, like the Kindle DX, comes in two different colors - graphite and white. 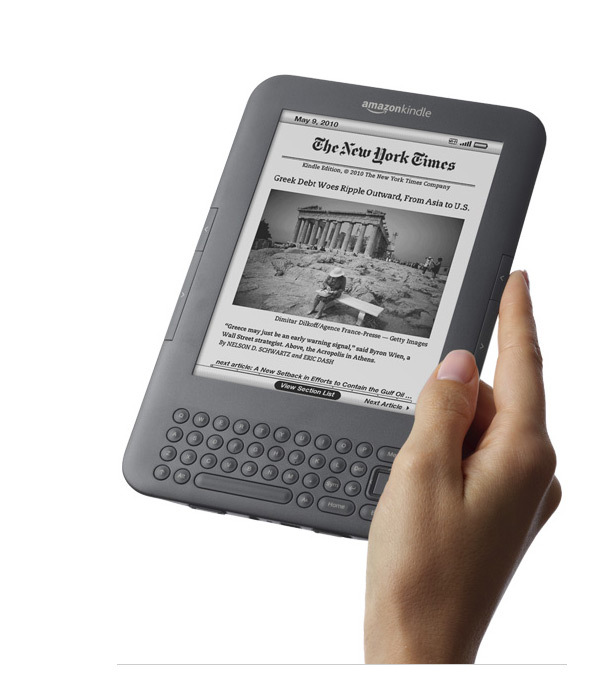 The Kindle 3, according to Amazon, features an "all-new, high-contrast e-ink screen" which offers "50% better contrast than any other e-reader". This has always been one of the biggest selling points of the Kindle - they are very easy to read, even in the bright afternoon sun. The Kindle 3 will feature a sleeker design (21% smaller body area) while maintaining the same 6 inch reading area. The new Kindle is also lighter than its predecessors - 15% lighter. According to Amazon, the new Kindle weighs less than a paperback. As always, Amazon will pay for the 3G transmissions when you are purchasing books, so you don't have to worry about splurging for a wireless information plan when you purchase a Kindle. Ok, now that we have gotten all of the details out of the way - what do I think of the Kindle 3? Three words - I love it. This is by far the best version of the Kindle that has been released so far. One of the biggest selling points (at least for me) is the fact that I can now easily lie down on my couch and hold the Kindle in one hand - I couldn't really do that before. The Kindle is now light enough and small enough that I can hold it in one hand without too much effort. Prior to the Kindle 3 being released, the cost of giving a Kindle as a Christmas present was just too expensive. Now, at just $189 per unit, the cost has become much more reasonable. This Kindle is extremely easy to read, and the extended battery life is a big selling point for me as well (especially considering the fact that I constantly forget to recharge my device). This is a very slick unit that I can't recommend enough. If you know somebody who loves to read, then they will almost certainly love using this device. Click Here to Purchase Your Kindle 3!